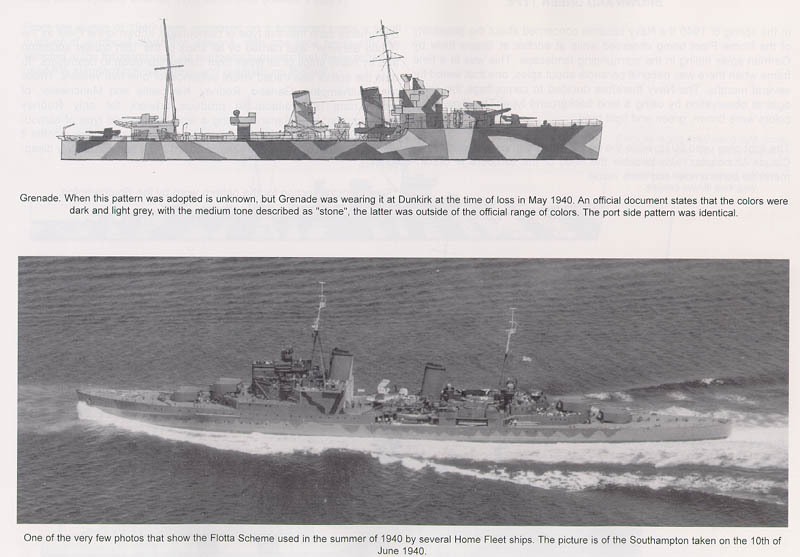 Warship Perspectives, has released another book geared towards the ship modeler, "Camouflage Volume 1 Royal Navy 1939-1941. 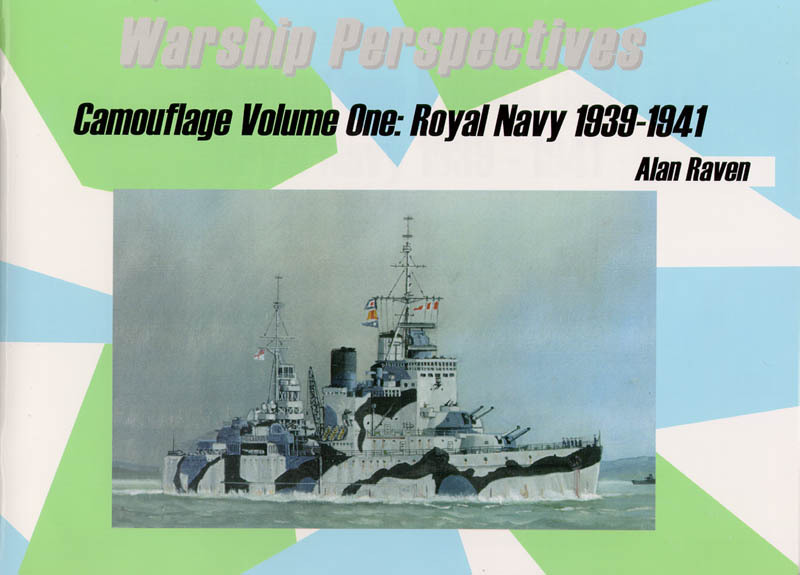 Written by Alan Raven, this book is just what anyone modeling the Royal Navy during the beginning of World War II needs to accurately paint their Ships. There have been volumes written on US Navy Camouflage, but information and reference is a little scarce on the Royal Navy. This first volume attempts to remedy that, by giving the modeler information on the many Camouflage patterns employed by the Royal Navy during the opening years of the war. 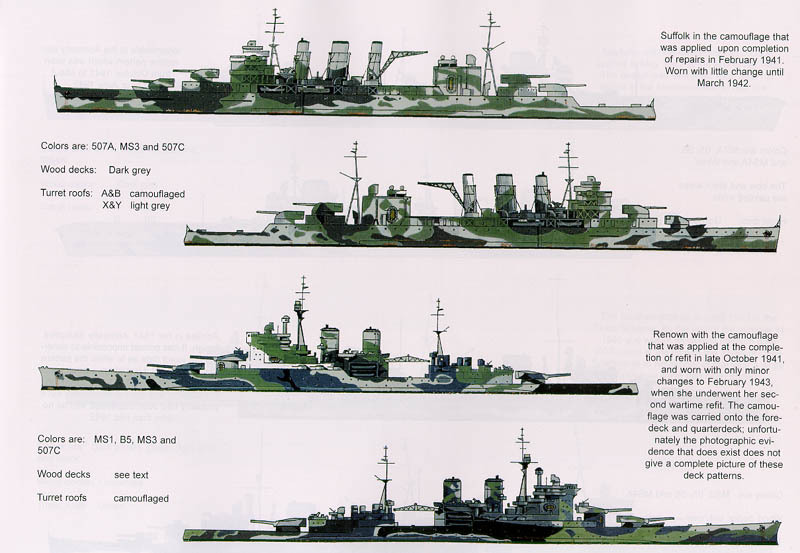 There are over well over 100 side view illustrations for most classes of Royal Navy ships, with both sides shown on some ships with non symmetrical patterns. Over thirty of the illustration are in color, the others that are in black and white are the patterns composed of shades of grays or browns, so they would benefit little from color printing. 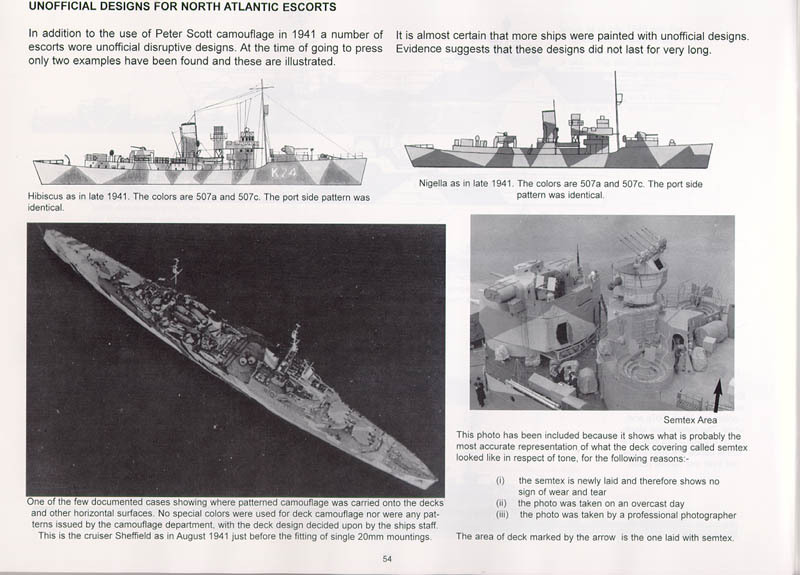 Included are notes that identify color numbers used and info on deck colors and turret tops. This book even gets into the logic behind the colors chosen and the theaters of operation that they were designed for. You will find a number of new photo's included that illustrate some of the Camouflage measures listed in the book. Official and unofficial design types are covered as well as mission specific types such as the one worn by the Cruiser Arethusa on a raid of the Norwegian Fjords in 1941. The illustrations are organized by Camouflage Design types, this is good if you already know what pattern a certain ship carried, but I found it a little hard to find specific ships. I hope Warship Perspectives will consider adding an index of the ships illustrated in the upcoming Volume two. 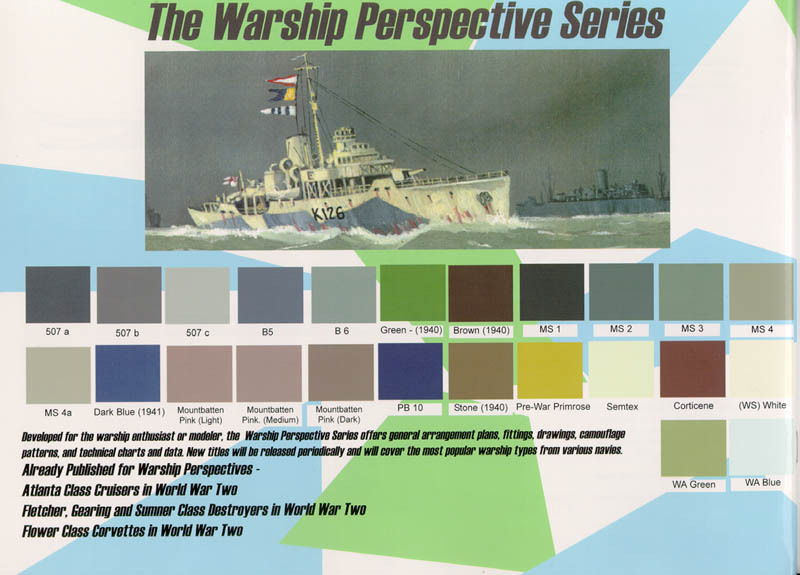 A color matching guide is included on the back cover for reference, This will give you a quick reference to the different colors used by the Royal Navy, and how they appear in relation to each other. Be aware that the printed colors are limited by the capabilities of the printing press. If you need a better reference for the actual colors, check out the Snyder and Short paint chips for the Royal navy. Other WR Press books reviewed here.